To make a vow means to make a serious promise to do something or to behave in a certain way. If you break that vow there will be repercussions to pay. You have to decide if the punishment fits the crime. Kiyah West is what some would consider damaged goods. Her scars from her previous relationship are so deep that she feels like she can’t go into another relationship. Then Cameron James appears in her life and gives her pause ~ she is not sure what to think about him. He is definitely an interesting man and absolutely appealing. What Kiyah is trying to figure out is should she invest the time into seeing what he is about or should she stay in her shell and remain alone? Having feelings that she can not quite understand is either going to make or break her. Til Death is a short story that is a full and complete story. It gives you everything that you are looking for in a quick dramatic romance story: joy, fear, heartache, love and DRAMA! I enjoyed reading this short and I look forward to reading more from LaRedeaux in the future. Til Death is available for purchase through Amazon.com (paperback and Kindle) and BN.com (Nook edition only). If anyone tells you that life is easy or that love is uncomplicated they are living in a fairytale. Love is such a complex emotion, you feel so many different ways but it is all related to being in love. Having the opportunity if possible, I wonder how many would choose the fairytale version of love or would they still go through the emotional rollercoaster that we go through in real life? Dakota and Jonathan Winters have been in love and married it seems like forever, in reality it has only been twelve years. The events over the past couple of months make those past twelve years seem like a lifetime since the marriage is on its way to being dissolved. Dakota is a very beautiful successful lawyer and Jonathan is a ruggedly handsome engineer and they both are their own bosses. They own a big beautiful house and has no children, but that was not enough for Dakota to withstand the disrespect and abuse from Jonathan. Dakota deserved to be loved like she gives love but since she couldn’t have that from Jonathan she resolved that she would give it to herself, because that is what she deserves. Veronica and Gregory Chapman are husband and wife and Veronica is also one of Dakota’s best friends. Veronica is a very successful family law attorney and Greg owns is own architectural firm, they have two beautiful children and the best of everything. Veronica and Greg have hit a very rough spot in their lives and marriage and it seems like everyone is living separate lives, is this something that can be fixed or will this be the beginning of the end for the Chapman’s? Veronica has learned that success doesn’t come easy and in the process their may be casualties, but success comes at different prices for different people, what price will she have to pay? Lauren Davenport is a very successful lawyer and the third in the friendship trio. Lauren looks at Dakota and Veronica like they were sisters and they love each other very much. Lauren hates having secrets (mainly because she can’t keep one) and the fact that she is keeping a secrets from her two favorite girls is driving her crazy. How will she reveal this secret and when she does, will their lives ever be the same again? Lauren is madly in love and her best friends forever with just have to understand that or they can leave That is the reality that she is faced with but can she deal with the fallout? The Sweet Taste of Love is a romantic drama, but then again isn’t love dramatic? It takes you through the ups and downs of old and new relationships while embracing the characters while you go. You feel empathy for each situation but you also love the fact that there is a undeniable love involved that everyone should experience in life. The storyline flows and the characters are absolutely believable together. This is a very easy read because it could easily be your own life that you are looking at through a window. I have enjoyed reading this novel and I look forward to reading more work from Audrey A. Ford. 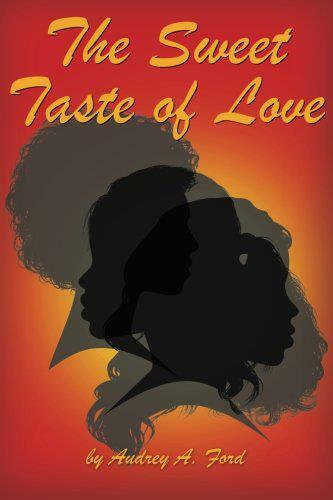 The Sweet Taste of Love is available for purchase through Amazon.com (paperback and Kindle) and BN.com (paperback only). Love is the most beautiful and complicated emotion that you will ever go through. There are times when all you can see is hearts and flowers when looking at the person that you love. Then there are times when you feel like you can’t breathe another breath if that person is not near you. Love is supposed to be a partnership not an obsession, although when that happens the best thing to do is pray that everything clears up and everyone comes out of it unscathed. Tamika and Sedari Best are married and madly in love with each other. They have loved each other since they first laid eyes upon each other. They gave up their former lives to make the life that they currently have with their son Corey. Times have sometimes been a struggle but their love for each other has outweighed the struggle. Life is moving along smoothly until Sedari’s friend Desiree creates more and more waves just because she can. Though Desiree acknowledges that Sedari is married, she has always wondered what it would be like to walk in Tamika’s shoes and be his wife. Desiree will stop at nothing to make it known how she feels about Sedari, including disrespecting Tamika! Through a series of events, each of their past is coming back to haunt them. The only question is how do you run from your past or do you stand still and let it destroy you? 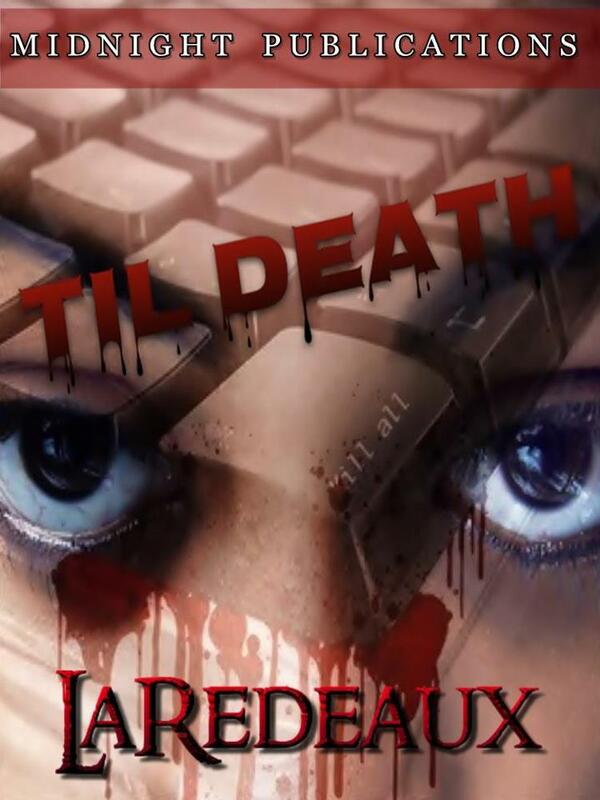 Can their love survive this haunting or will this be the end of this once happy couple? 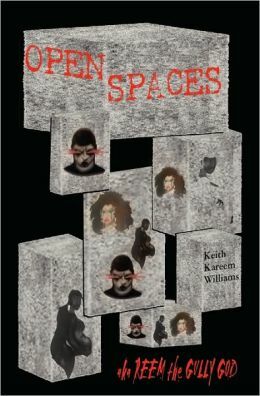 Open Spaces is a very interesting tale of love, pain, obsession, jealousy, lies and truth. The story reads so clearly that I often found myself in pain or turmoil with the characters. It is truly a story that could be my life or yours. The character interaction is written like a motion movie with all of the emotions running across the screen. I enjoyed reading this novel between tears, I can’t wait to read more from Williams. LOVE and WAR, there isn’t much difference. Both instances you are fighting for what you believe in, which is supposed to be true happiness. Both instances there are going to be casualties but it is just a matter of who will be the victor. Sometimes love IS war then in that case EVERYONE loses. Hilda is a woman who wants for nothing. She owns her home free and clear thanks to her father, she has a college education and is an elementary school teacher and she is in love. Hilda has everything that she thought could and would make her happy since the void left in her heart with the passing of her father, Frank is the man of Hilda’s dreams. Frank has swept her off her feet and this is what Hilda needs in her life, someone to love her. Love is supposed to last forever but this seems not to be the case and when things turn for the worse, it turns real quick. Claude is this man who has vowed to love Hilda forever but how can this happen when Hilda and Frank are still together after 12 years. Something has to change but what can help Hilda get through this trying time? Pearl is Hilda’s next door neighbor and her best friend. Pearl has a teen daughter named Lissa who is a typical thirteen year old girl, playing with dolls and her best friend Tammy. Pearl and Hilda steal some adult girl time by having meetings at the clothesline that is between their houses. This is where they talk and vent about anything and everything and these meetings have brought them to become the best of friends who would never betray each other. When events started happening to these ladies and their families their bond and loyalty to each other became paramount, nothing or no one could or would come between them. Clothesline Blues is a story about love and the war between black and whites in the South during the Jim Crow Era, how they would deal with the situations being dealt to them and how they survived through it. It is a good story with some history tied into it. Very interesting read, great flow and context, I enjoyed it. 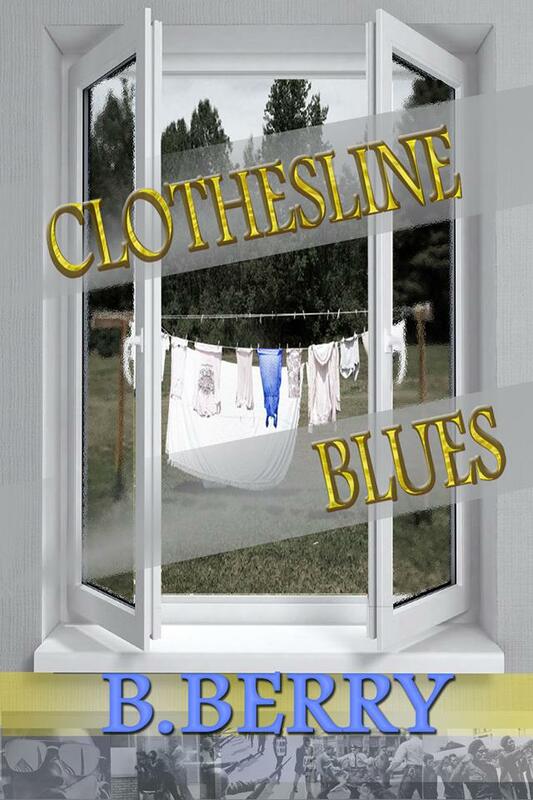 Clothesline Blues is available for purchase through Amazon.com (paperback and Kindle) and BN.com (Nook only). A Woman Scorned is a short story about the pains of love and losing love. When we have been wronged or feel like you have been wronged you try to figure out a way to regain your momentum and get back up on the horse. Zena Hudson is a woman in love but the love of her life doesn’t deserve her love. What should she do? How will she handle this or will she just let it slide? Love is hard but she never thought that it would be THIS hard. A Woman Scorned is a short story, just a mere 33 pages. There are emotions running through those pages: love, hate, anger, sorrow and acceptance. It is a good story and if continued will be a great novel but there were some editing errors that need to be corrected and the title on the cover could have been better and clearer. Other than that, I enjoyed the short. Good job TP Miller, look forward to reading more from you. A Woman Scorned is available for purchase through Amazon.com in kindle edition. Fear and love both have some things in common. Both words have four letters, both are emotions and both frighten us. It is up to us to decide what we want and how to proceed but one thing is for certain, one emotion will always outweigh the other. Larissa Santos is a beautiful and quiet woman who doesn’t bother anyone. She is a hairdresser and a homebody so when she was suddenly stalked by the maintenance man in her complex she was more than terrified. Larissa knew it was him but couldn’t prove it so essentially she had no protection from him intruding on her personal space. Taking matters into her own hands, Larissa defended herself when her stalker broke into her apartment into the middle of the night. Though he was no longer around she never quite felt safe, and she had good reason to feel that way. Would Larissa ever have peace again or will she continue to live her life on edge? The Heart Has Reasons is very skillfully written for this freshman author. The characters are complete and thorough. They compliment each other without taking away from each other’s story. You have romance, suspense, drama and you find yourself conflicted on which character to root for and who you should boo. It is a story of heartbreak with a feel good theme to it because you find yourself romanticizing as you read. You can see the characters clearly in your mind and you often will have moments where you find yourself smiling. Though it states that it is over 400 pages you find yourself wanting it never to end, I enjoyed this story. In addition, the cover is hot so that lets you know that it is going to be a steamy read. Congratulations to Martine Marchand on her first novel, I look forward to reading more from her in the future. The Heart Has Reasons is available for purchase through Amazon.com in kindle edition.